Whether in casual conversation or on social media, if I dare to say anything remotely complementary about President Trump’s policies or actions, you can bet that I’ll be attacked as a Nazi, racist or, at the very least, a Trump “apologist.” This, despite the fact that I did not vote for the man, whom I find to be a classless boor, mean-spirited, oft-deluded and as equally self-absorbed and narcissistic as his predecessor. Nor did I vote for Hillary Clinton. In my view, the only principle for which she stands is: “What will it take me to say to get elected?” An empty shell of hypocritical pandering (what kind of idiot believes she carries hot sauce in her purse? And please don’t get me started on her convenient faux-Southern Black dialect) she represents to me everything corrupt about the Democratic political machine. (Don’t ask me: ask a Democrat in the know). At the same time, if I criticize something the president or the GOP says or does, I can rely on being called everything from an “Obama-loving commie fag” to a “Hillarybot.” Simultaneously, any thoughtful criticism of any Democrat will be subject to a riposte usually containing — in between the invective — the false assertion that I voted for Trump. The best part is liberals often spit that out like an accusation of murder or pederasty. Thousands of pages have been written about our age of political polarization. Public discourse and political reporting have deteriorated into an “either/or” game, and while polarization has been around since the Jefferson-Adams kerfuffle, the level of anger is unprecedented. To begin, let’s not underestimate the damage being done. In a calm moment, thoughtful people of all political stripes will acknowledge the important role that free and unfettered discourse plays in the democratic process. By extension, when that discourse is poisoned, so too is the process. That was the initial motive force behind questions about sock puppetry, unregistered foreign agents trying to influence or at the very least confuse voters and the sudden proliferation of spurious “news sources” involving the last presidential election. It was for that reason that I initially welcomed congressional investigation into the alleged attempts made by foreign nationals (mostly Russian) to try and game social media algorithms. I, for one, want to know what risks my country is facing. Unfortunately, wishful thinking of the anti-Trump crowd overtook any direct evidence of either collusion or the efficacy of such attempts. According to Techcrunch, the Trump and Clinton campaigns spent $81 million on Facebook ads: the Russians spent $46,000. And it’s nearly impossible to determine with accuracy how far that $46,000 moved the needle if at all. In short, opportunistic backbenchers like California Democratic Rep. Eric Swalwell and provable liars like Stormy Daniels’ lawyer, Michael Avenatti, hijacked what should’ve been a calm and intelligent investigation. Despite the perversion of the investigation, when asking how political discourse became so utterly binary and bitter, we cannot discount the impact of social media in two ways: First, it may have replaced the traditional reliance in early morning newsroom meetings upon established (or legacy) titan media such as The Wall Street Journal, The New York Times, The Washington Post and similar table-setting publications. Second, if “what’s trending?” now determines or heavily influences the front page of influential media, then the lack of veracity of “what’s trending” may be responsible for the ever-deepening distrust and dislike the public has exhibited towards legacy media. (I’m not convinced that the President’s bloviating “enemy of the people” language helps, but innumerable self-inflicted wounds have undoubtedly cost legacy media the important currency of trust upon which it relies). Let’s stipulate that my math and statistics skills are rudimentary at best. That said, a Pew Foundation study showed that in 2017 “just under half (45 percent) of U.S. adults use Facebook for news. Half of Facebook’s news users get news from that social media site alone, with just one-in-five relying on three or more sites for news.” If my math is correct, Pew is saying that about a quarter of U.S. adults get their news from Facebook and nowhere else, although recent shifts in Facebook’s marketing has started to diminish that number. If the answer to my first question — whether newsrooms are shaping coverage by looking at “what’s trending” — is yes, then the circularity emphasizes the “bubble mentality” we see in social media discourse. It’s long been an axiom that people tend to read almost exclusively news with which they agree. So, are we stuck in a “feedback loop”? I asked Richard Jaroslovsky, an old friend, colleague and pioneer in digital journalism this question. Rich is the VP and Chief Journalist at Smart News, a mobile news app with a unique mission. (More about that later). 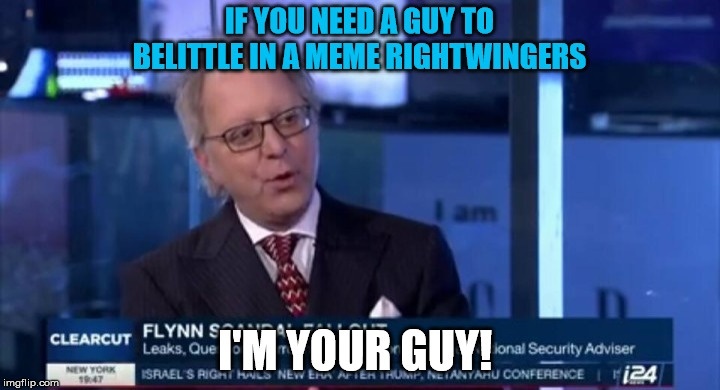 He was previously an Executive Editor at Bloomberg News, a White House correspondent for The Wall Street Journal, the founding Managing Editor of WSJ.com and a founder of the Online News Association. If indeed newsrooms are relying on social media to set their news budget, then the next and obvious question is about the veracity of “what’s trending?” The parodic quote of Abraham Lincoln saying “don’t believe everything you read on the Internet” truly takes on a greater meaning. The takeaway here is not whether 44 percent or 64 percent of the news is in fact “inaccurate.” The important issue is that reader trust and confidence is the only currency that keeps any media alive. Although it’s something of a sidebar, this tells us that the media — both traditional and digital — have to do a better job of instilling that trust. Merely running ads claiming to be “the most trusted name in news” means nothing every time CNN gets it wrong. And the multiplicity of available alternative news sources plus the democratization of speech in the digital age makes it easier to learn exactly when CNN (or others) get it wrong. Media critics across the board generally agree that we do a pretty lousy job of issuing quick and clear corrections. So Why the Polarity and Intensity? On the day after President Trump’s election, I told a group of left-leaning media lawyers that this would be the best thing that’s happened to The Washington Post since Watergate. (Of course, I was told to “shut up.”) But that prediction turned out to be accurate. In a race to become the official newspaper of the #Resistance, journalists of no small stature have started to admit that if they abandon pretense of independence and instead reinforce narratives that comfort left-leaning readers, business will be good. Indeed, we are paying the price for the democratization of speech in a world where everybody is Gutenberg. In my view, when you do the utilitarian math, I’m not so sure that’s always a bad thing: if the “topic of the day” is partially guided by informed readers instead of solely by an elite group of paternalistic BosNyWash Corridor habitués, isn’t the likely result a wider spread of topics and viewpoints? Pundits complain about “low-information voters” and indeed, if they only thing they read is The Daily Koz or Gateway Pundit, it’s a stretch to call them completely informed. (I read everything but believe little of what I read.) I don’t need a 27-year-old Georgetown ingénue who “literally knows nothing” to tell me what a statement “means” or to accept an assertion of hidden but unproven motives behind a policy with which they disagree. Informed readers are openminded readers: intelligent and confident enough to subject their views to challenge by reading material from newsrooms with whom they might ordinarily disagree. (Not being a registered Republican, I’m jokingly referred to here at The Daily Caller and at Instapundit as the “in-house Trotskyite”). To puncture filter bubbles and promote other points of view. We are targeting readers who are liberals but open to reading something from Fox, and conservatives who are open to reading an item from Mother Jones. Our readers value seeing other views. If all you see is what you agree with, there’s a sugar rush, but over time it’s boring, you’re exposed to nothing unexpected. Is there a future in appealing to readers who say, “Tell me something I don’t know”? It’s not clear to me, but it’s a noble experiment. So far, so good: Smart News is now engaging more than 10 million monthly active users. If the Ivory Tower of the legacy media stop assuming that they know better than those living in flyover country, and if among conservatives reading opposing views becomes — as it should — a sign of independence and thoughtfulness, trying to be reasonable just might be viewed as a virtue and not a vice. Who knows? People may actually stop screaming past each other and engage in meaningful dialogue. Charles Glasser (@MediaEthicsGuy) was Bloomberg News’ first global media counsel. He is the author of “The International Libel and Privacy Handbook,” teaches media ethics and law at New York University and The Newmark Graduate School of Journalism at CUNY. He worked as a journalist in the 1980s and later studied at New York University School of Law.